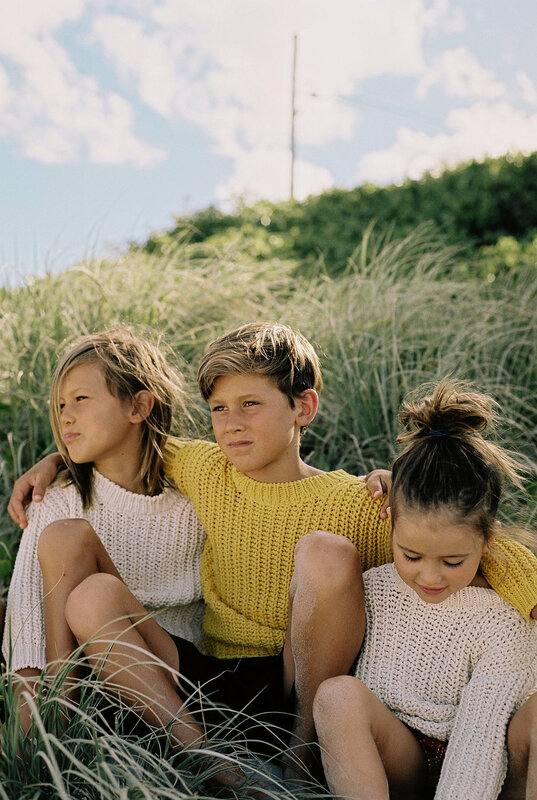 This week we take 5 with Byron based portrait photographer Amelia Fullarton and chat about her love of natural light. How did you first get into taking portraits? I started taking portraits about 6 years ago after I become fixated with documenting my first borns first years of life. I can so clearly remember thinking how I didn’t want the time to pass too quickly, how deeply in love I was with her, a feeling I didn’t even know existed and how every photo I took of her little face made me feel. What in your opinion makes for a good portrait? I’m attracted to moments that evoke emotion. I think a good portrait shows the real character of the child / person, who they are or how they might have been feeling that day. It allows a person to go back to a memory, to almost feel, smell, hear a moment. Tell us a bit about one photograph that is meaningful to you? So hard! I have one photo of my second daughter sitting on my partners lap framed at home. It’s taken in an old shack we used to live in. The sun is setting behind them through the window and when I look at that photo I can remember that room and them in it, the creaky floor boards, the girls playing in the room. Our life in that house and how I felt when I took that photo. Natural light tends to be a theme in your work, what is it that draws you to using natural light? It gives a feeling to photos that I think for the type of work I do is difficult to create in a studio. It’s a feeling of warmth and realness.